"Hard Work Makes Dreams Come True!" I have personally designed the Gold Medal Camp System so that you will learn and retain as much as possible. My Gold Medal Camp is very organized. Through a carefully planned sequence of instruction, unique drills, and review sessions, you will learn the techniques necessary to become a champion. July 14-24 @ Penn State Ramada Inn Conference Center. Mark your calendar and organize your team to join you. Small group, personalized instruction with 4-11 day options for all ages! Visit the summer camps page for additional information! Do you want to improve your wrestling skills and learn techniques that will stick with you and help you excel on the mats and in life? Then we welcome you in Ken Chertow's Gold Medal Training Camp System. We offer wrestling camps for youth and teen boys and girls available. 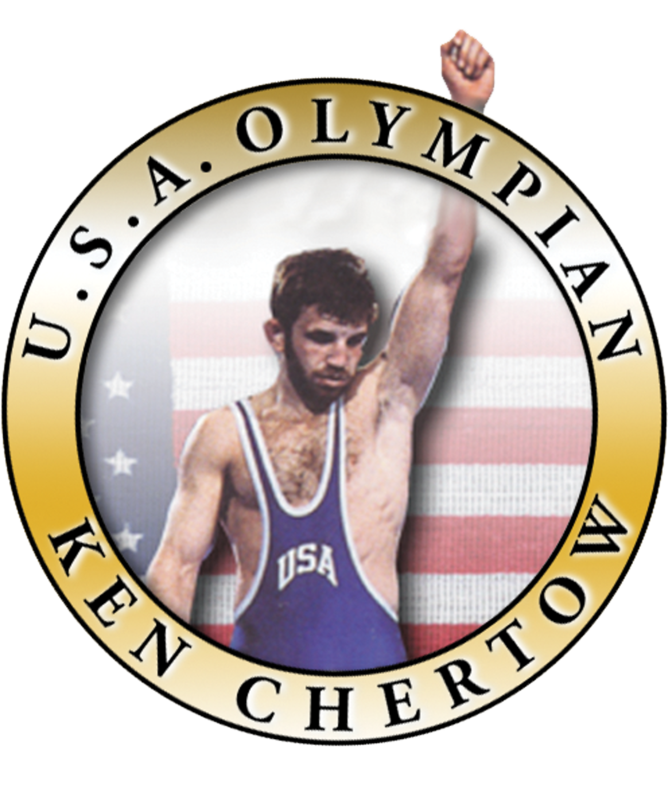 Ken Chertow is a U.S. Olympic wrestler with over 20 years of very successful coaching experience, and he has personally designed the Gold Medal Training Camp System to teach wrestlers of all ages the expert techniques needed to succeed and excel. The camps are specifically designed for wrestlers to learn and retain as much as possible. Coach Chertow started coaching youth wrestling camps for boys and girls over 25 years ago, competed in the Olympics and graduated from Penn State. Ken spent 5 years coaching at Ohio State and Penn State and since then Coach Chertow has devoted most of his time to conducting wrestling camps for boys and girls, including very successful summer camps for wrestlers of all ages and smaller Weekend Warrior Camps during the school year for those interested in developing their wrestling skills. His Gold Medal Training Camp System has produced proven results and helped thousands of wrestlers over the years. When you sign up for one of the youth or teen wrestling camps for boys and girls offered, you will learn the techniques you will need to become a champion at your specific level. Ken personally teaches at all of his camps providing small group, personalized instruction. Coach Chertow has made a commitment to running the most efficient and productive wrestling camp system in the world. Whether you want to improve your leg attacks, 5 point moves, tilts, legs, or scoring from the bottom, you can do it with the help of Coach Chertow. Also, be sure to check out the nutritional supplements, Instructional DVDs, books and wrestling gear offered by Ken Chertow Wrestling. Do you think you have what it takes to become a champion one day? Contact Coach Chertow at CAMPS@KenChertow.com or 814-883-1193 today to grab a spot at an intensive learning and training camp at Penn State in Happy Valley, PA. You will be glad you did!